Getting married is an expensive affair, and jewellery makes a major chunk of the budget. Our moms start collecting sone ke haar and bangles from the time we turn 15, but we still crave jewellery which is more ‘in fashion’ and matches our wedding outfits perfectly. Just so you don’t burn a hole in your pocket, here are 6 faux bridal jewellery pieces that shine just as bright as real kundan and gold. 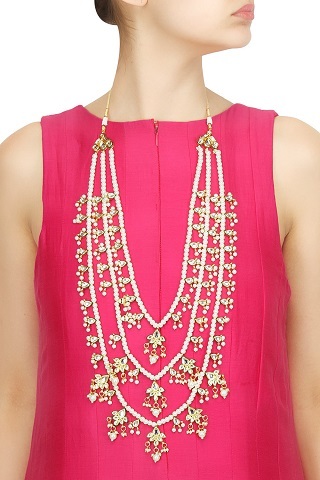 Faux pearls and kundan stones make this a gorgeous golden necklace. The hint of green blends perfectly well with bridal outfit colours such as red, green or pink. Since layering is totally in right now, you could pair this necklace with a choker. Price: Rs 13,999. Buy it here. 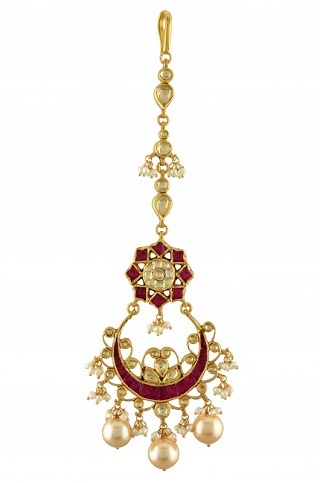 A gold finish maangtika with colourful stones and gold hanging pearls. 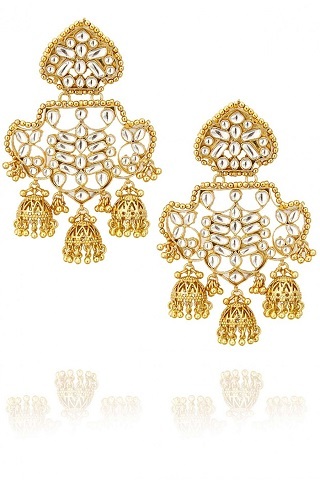 This will look stunning with your bridal bun and shaadi ka joda. We especially love those little pearl hanging at the end. Price: Rs 4,800. Buy it here. 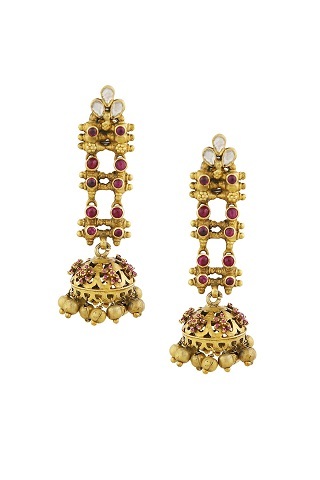 These traditional Rajasthani earrings from Anita Dongre are set in silver and look absolutely royal. If you like to keep it simple and classy then these are all you need. For a more bridal look, pair it with an elaborate maathapatti. Price: Rs 8,000. Buy it here. This is my wedding jewellery goal! 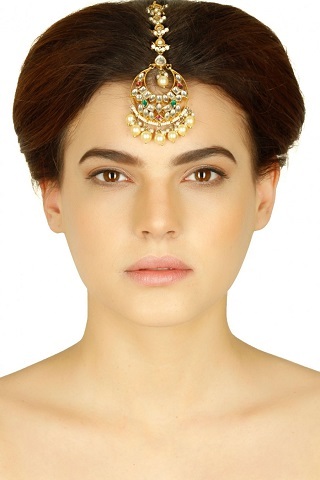 It’s just so gorgeous and royal: a kundan rani haar with pearl strings and little droplets. If your lehenga blouse is not heavily embroided then this is the only accessory you need. Price: Rs 8,000. Buy it here. Set in silver and plated with gold, this Amrapali maangtika is that one statement piece you definitely need as a bride. Adorned with pearl drops and crystals, we love the beautiful pink stones that make up this stunner piece. Price: Rs 9,250. Buy it here. A not so common design that will pair fabulously well with the gold necklaces your mom has kept aside for you! The beautiful polki and textured jhumkas break the monotony and make this pair look absolutely stunning. 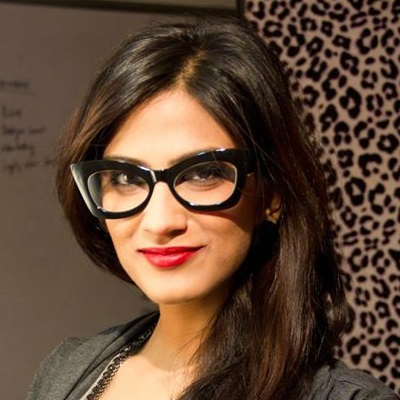 Price: Rs 9,600. Buy it here. MUST-READ: Get The Royal ‘Jodha Akbar’ Look With This Stunning Jewellery! MUST-READ: These 8 Gorgeous Brides Wore The Most Stunning Jewellery!